This meeting concentrated on the development of plans for this year. We are still working on getting information about Dereham’s walking routes, both to residents and visitors. 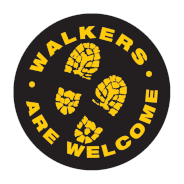 We have ordered a number of Walkers are Welcome ‘stickers’ (they can be easily peeled off) which we plan to offer to businesses and supporters (for their car windows) and will be seeking to have them displayed around the town, and in B&Bs and hotels within 5 miles or so. We also agreed a version of our Annual Report which, over 9 pages, sets out what we did last year and what we aim to do this year. Printed copies will be available at our AGM on 8 June. We plan to update, reprint and extend the pack of walk guides prepared last year by Dereham Town Council and their Footpath Warden. We plan to add to the current pack of 4 walks with five further possible walks, taking people out of Dereham and into the surrounding villages and areas. The pack had already been supplemented by 2 walks using the Mid-Norfolk Railway, and we are now working on further ‘travel out, walk back’ routes, this time using the local bus network. We are planning to test our map and directions on the first of these on 15 February- you are welcome to join us: please contact the Secretary for details. We also firmed up plans for our programme of ‘walks with a difference’. Details of all of these are on the Current Events page. Over the last few weeks, we have linked with Dementia Friendly Dereham, Breckland District Council and Theatre Royal Surgery, all of whom have been looking to promote walking in the town to their service users or patients. We have offered information about possible routes that people with limited mobility might use: this is still a work in progress. Dereham WaW is of course part of the national Walkers are Welcome family. There are three other Norfolk WaW locations - Cromer, Aylsham and Swaffham. Cromer is well established, and we share ideas on a regular basis, including planning exchange walks later in the year. Aylsham and Swaffham are both experiencing some delays to their development, and we are offering support.